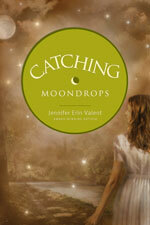 I walked down a dusty lane in Calloway, Virginia in the late 1930’s as soon as I picked up Catching Moondrops. I was there. And this is Jennifer Valent’s third book in the Fireflies in December trilogy. Immediately impressed with the gripping characters and tension-building story, I found this book difficult to put down. Jessilyn Lassiter’s fiery personality lights up the pages as she falls deeper in love with long time friend, Luke Talley. The town erupts in disturbing controversy when a young, black doctor, Tal Pritchett comes to Calloway to practice medicine. Tensions flare. The Klan incites incident upon incident of cruelty. My attention swayed between the pleasantness of Jessilyn and Luke’s love story and the hatred the Klan spread around town. Valent incorporates ideas of faith in a tender and appealing way. Catching Moondrops made me think about how I’d react in a similar situation. Tyndale provided me with a copy of this book in exchange for my honest review. Wow, sounds strong and poignant. I've not heard of that trilogy. Will have to look it up. Great review! Oh, WOW, Wendy. Sounds amazing. How has this trilogy slipped through my radar??? Sounds great, and I love the cover! I'm writing this title down so I can look for it. Sounds like a good historical novel. Thanks so much, Wendy! So happy you enjoyed it!! This sounds like a good book for my book club. Thanks for bringing it to my attention. And glad you enjoyed it. It's refreshing to stumble upon a genre, or a type of book we would never usually pick, but read anyways and end up liking. You did a good job covering that! It sounds like a wonderful book! Thanks for sharing about it.